Momentum has been growing in the last few years to tackle the grave and widespread challenge of violence against children. The countries of Latin America and the Caribbean have been exemplary in consolidating efforts to develop a regional strategy and make solid commitments. On October 19, 2012, the process to establish these regional initiatives has culminated in a special event at the UN Headquarters in New York. Momentum has been growing in the last few years to tackle the grave and widespread challenge of violence against children, an international concern affecting societies across both developed and developing nations. There is growing condemnation of the abuse and victimization of children and young adults around the world in all its forms. A series of high profile scandals in the US and Europe have pulled the issue into the forefront of public consciousness. Meanwhile the attention of the international community has been focused on building a series of targeted initiatives and commitments that will both tackle the causes of violence and improve collective responses. A breakthrough in this effort was the appointment of Marta Santos Pais as Special Representative of the UN General-Secretary for Violence against Children (SRVAC) in September 2009. The countries of Latin America and the Caribbean have been exemplary in consolidating efforts to develop a regional strategy and make solid commitments. This process was developed by the office of Ms Santos Pais, together with regional governments and the Latin America and the Caribbean Movement for Children. It has counted with extensive support from regional organisations, UN agencies, academia, civil society, and networks of children and adolescents and a coalition of leading child-focused civil society organisations, including SOS Children's Villages. Through a series of regional meetings taking place over the last two years a consensus and set of core commitments have emerged. On October 19, 2012, the process to establish these regional initiatives has culminated in a special event at the UN Headquarters in New York. Organizations and national representatives from across the Latin America and the Caribbean involved in the campaign met to consolidate their dialogue. Key among the participants were three young women representing youth movements from Central and South America, demonstrating great understanding and passion for the movement. Contributions from member states, medical professionals and the Special Representative of the Secretary-General on Violence against Children, Marta Santos Pais, pulled together the work of the campaigners and the recommendations of the UN study. Three fundamental commitments were set out for Latin America and the Caribbean. 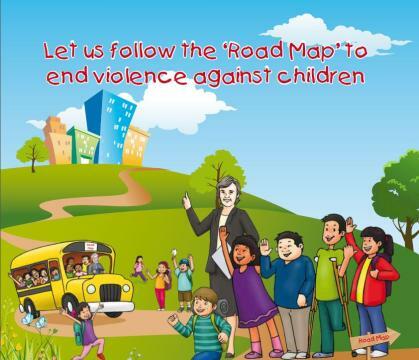 The first is that each country is to create its own national strategy that will both help prevent violence against children and enable effective responses when it does occur. The second is that legislation is introduced to create a strong legal framework that prohibits of all forms of violence against children. Lastly, that organizations and governments bring together all the data and research on the issue, in order to better inform measures to tackle this violence and to improve their monitoring and evaluation. 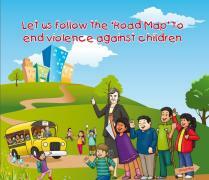 This event also marked the launch of an illustrated 'Road Map', published by Save the Children, which presents these commitments in a clear, attractive and relatable way for young audiences. This book highlights how important it is to involve and respect children's voices in the public sphere, and to recognize different childhood experiences found across gender, ethnicity, socio-economic background, physical ability, and health conditions. Each is critical to the development of our understanding of and approach to children's rights. Organizations involved have already pledged to give particular attention to girls, children with disabilities and children in indigenous communities. One of the most challenging aspects of this campaign is instigating a deep cultural shift, both at a social level and within institutions that support children. The next steps for Latin America and the Caribbean were laid out at this event, with participants agreeing to develop a more holistic and inclusive approach, placing greater resources into academic research, monitoring and evaluation and enforceable laws. SOS Children's Villages warmly welcomes this renewal and broadening of commitments that have always been at the core of our mission to help children shape their own futures and share in their communities' development.